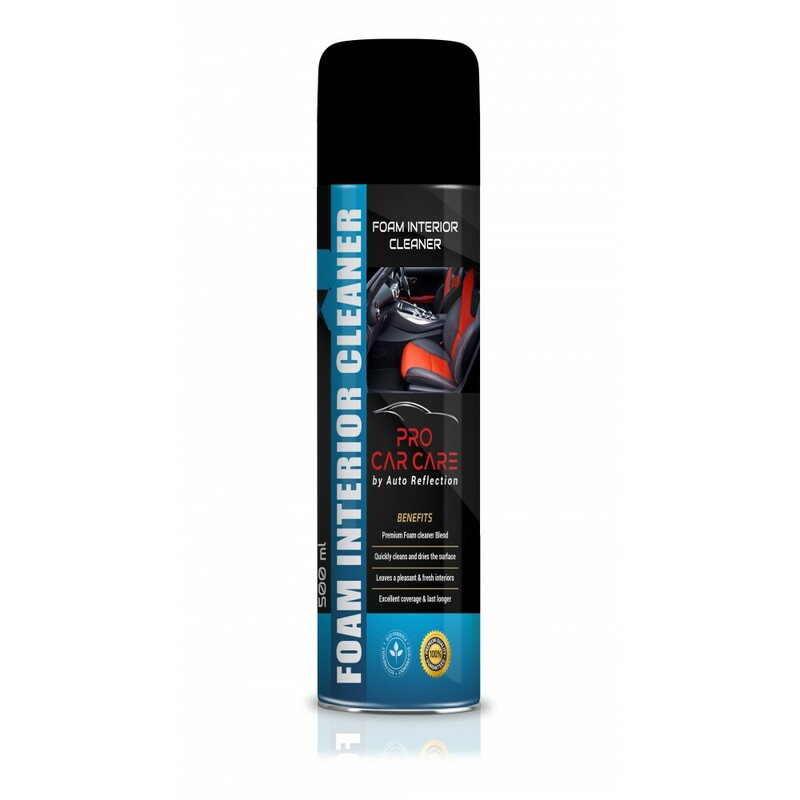 A heavy duty, water based foam cleaner for cleaning revitalizing vehicle interiors. Upholstery cleaner aerosol can be used on fabric, leather, vinyl upholstery, carpets, door panels, and chrome-works designed to remove dirt and grime deposits from the surface. The effective foam instantly loosens the dirt and leaves the surface spotlessly clean. 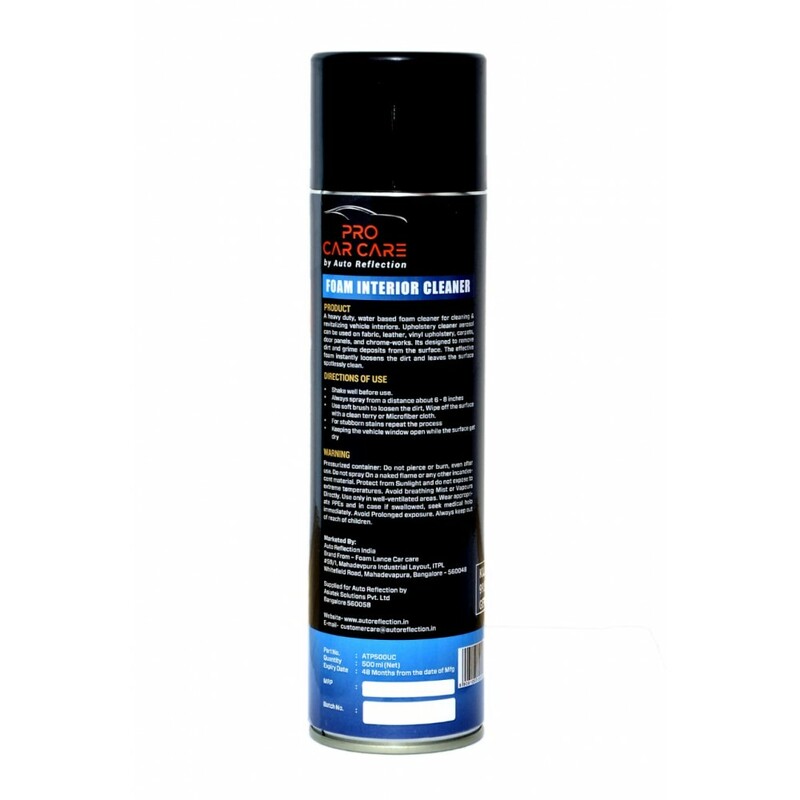 Wipe off the surface with a clean terry or Microfiber cloth.